If you sell on eBay, Auction-O-Matic is the only auction template software you will ever need! Automatically create auction ads that really hit potential bidders between the eyes without any programming required! 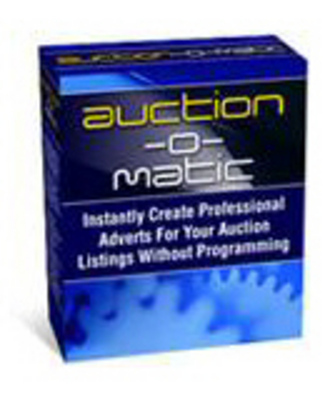 Auction-O-Matic - auction template software auction ads;auction template 106963678 3.75 mustangcobra Fresh Download Available!